What's happened to haleem in Chennai? Granted, it is alien to the city, but some of them have deteriorated so badly, that I can't believe that these were the same places that served good haleem a few years back. So, I am not going to write about them till I try them once more. 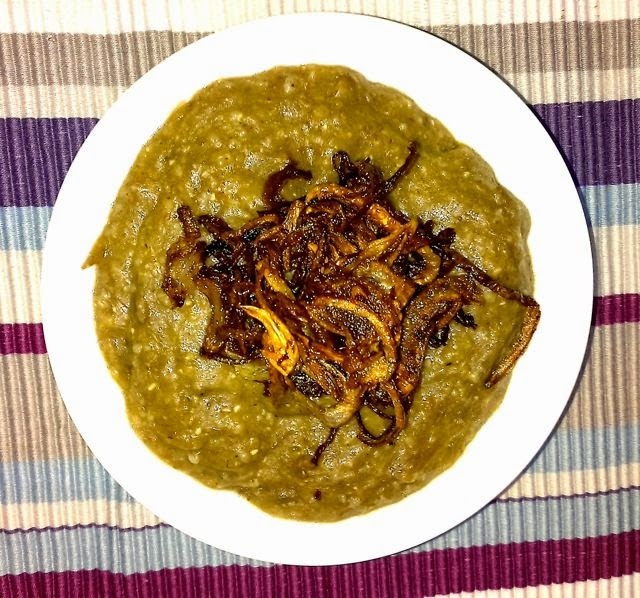 The best haleem thus far has been from a home baker. I say best 'thus far' because of the Haleem she delivered! Called Meaty Wheaty, this was a different Haleem, but it knew it was different. The colour of the haleem struck me first. I looked at her and she understood. Yes, there were no lentils and this was a full bodied haleem! Meat and Wheat. True to its name. Nothing more, nothing less. OK, there were spices and fried onions, but this was really meaty. Flavourful. It has to be with a mutton:wheat ratio of 3:1! Whoa! We ordered again a couple of days later for the whole family and everyone loved it. My search for Haleem in Chennai has been a disappointment, otherwise. The search is on though! Priced at Rs. 450/kg, this is a steal. There is a chicken haleem priced at Rs. 400/kg, but I don't intend trying it. I hope she is able to keep up the consistency! She does home delivery and can be contacted at 9994088522. Ask for Mrs. Afsar.